Tucked away in the highly sought after and extremely quiet University West Canyon Complex, this is a twin home that lives like a detached home with one of the best locations in the complex. This home has tons of natural light thanks to high vaulted ceilings, skylights, and atrium windows throughout. The home features 3 bedroom and 3 full bathrooms (1 bedroom and 1bathroom downstairs), a fireplace in living room, upstairs laundry, private low-maintenance patio, and an attached 2 car garage. Guest parking is conveniently located directly in front of the home. Kitchen has solid surface counter tops with newer appliances. Hardwood floors in the living room, dining room and stairs. Community pool and Hot tub. 3 B E D R O O M S | 3 B AT H R O O M S | 1 4 3 1 S Q . F T.
GREAT LOCATION! Tecolote Canyon borders the complex granting access to hiking and biking trails and Tecolote Canyon Golf Course. Walk to USD, coďŹ&#x20AC;ee shop, brewery and restaurants, and in minutes be downtown, the airport or the beaches. Linda Vista The gem of the Linda Vista neighborhood is the gorgeous campus of the University of San Diego, perched on a mesa overlooking Mission Bay and the Pacific Ocean. No wonder its name translates to “pretty view” in Spanish. In the early 1940s, San Diego underwent the transformation to industrial city, much of it based on the relocation of the Consolidated Aircraft Corporation. An enormous amount of new housing was needed for the 41,000 employees and their families, and, so, Linda Vista was born. Workers from Ryan Aircraft and Rohr Aircraft joined the eﬀort to prepare the U.S. and the Allied forces to win WWII, causing a population boom in San Diego, which necessitated the federal government building 3,000 housing units. Although they were originally intended to be temporary, tenants won the right to purchase their homes in the 1950s without the racial restrictions present in other parts of the city. Today, Linda Vista remains one of the most diverse neighborhoods in the city. 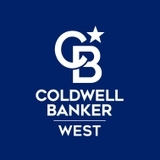 Reasons why Linda Vista is a great place to live: Ideal location - Linda Vista enjoys breathtaking views of Mission Bay and the ocean, while being centrally located in the city of San Diego. 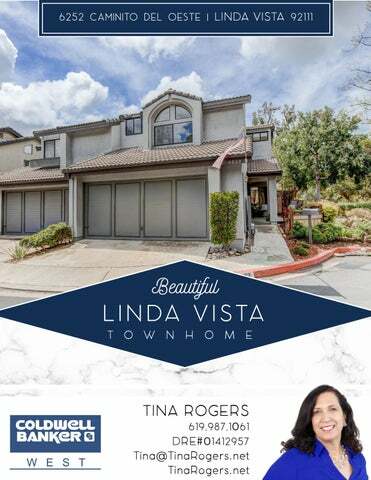 Great area for families - Families in Linda Vista not only have the inspiring influence of the University of San Diego in the neighborhood, they also have a wealth of earlier educational opportunities, as well as familyfriendly recreational options. One of the most diverse neighborhoods in San Diego - Linda Vista owes its existence to the population boom San Diego experienced during WWII. Excellent place for those who love the outdoors - Today, locals enjoy jogging, hiking and mountain biking the trails through the canyon, as well as the educational programs presented at the Nature Center. Positive real estate outlook.